Rick Peyser spent 27 years at Keurig Green Mountain. While he held many positions during that time, he’s undoubtedly best known in the specialty coffee world for the last title he had there: Director of Social Advocacy and Supply Chain Community Outreach. While holding that job, Rick was a true farmer advocate, working in coffee-producing communities to develop effective solutions for strengthening coffee supply chains. He made a substantial impact in his time at Keurig Green Mountain, but in 2014 he stepped away from the position. 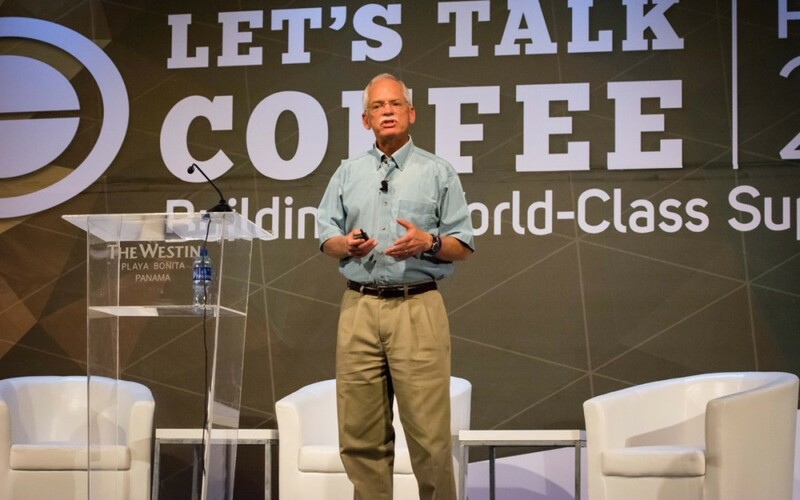 Just months later, he took the stage at Let’s Talk Coffee® Panama to reflect on his career working with farmers, showcasing a few success stories to illustrate the impact of a transparent supply chain. Please enjoy this moving presentation from one of the industry’s most beloved figures.